Description: Oh, Colorado, I write of Thee, the blue of your skies, like sapphires be! Alright…. Enough of that…. This tour should prove to be a lovely scenic flight through the plains and the Rockies. You’ll come across many smaller airfields in the peaks which may provide a little bit of challenge. 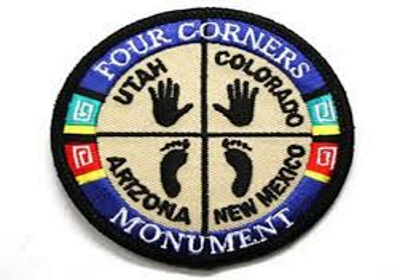 This tour coincides with the other “Four Monument” states of Arizona, New Mexico, and Utah. As with the others, this tour begins and ends at KFMN – Four Corners Regional Airport. Should be a pretty flight, perhaps more daring to fly with a good snowstorm. Enjoy the flight and make sure that you bundle up. Take along your skis, just don’t overdue the Glühwein before taking off again. Thanks to Steve K. for all the hard work. These GA Tours were built for GA aircraft but with Mirage, as usual, you may fly any aircraft of your choosing. Just be sure you have the fuel needed and can manage the runway length. Thanks to Greg J at MacAir for this tour, however, Pat and I decided to build it in reverse from theirs. Enjoy the flights!